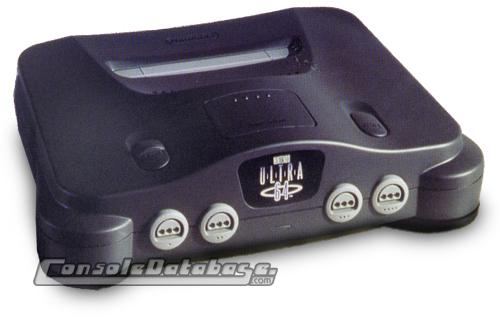 This console is also known as Ultra 64. The Nintendo 64 was originally code-named Project Reality and was to be called the Ultra 64. The release date, June 23 1996 in Japan. It was then released in USA on 26 September in the same year for US$199. Other countries followed soon after. This 64-bit console used cartridges rather than CDs, which were being used in competitors 32-bit consoles. The main competitor of the Nintendo 64 was Sony's Playstation. The Nintendo 64 had many advantages over the other consoles, thanks to Silicon Graphics. There is a huge difference in loading times between a CD and a cartridge. This was one benefit, but then cartridges cannot give the same "CD-quality" sound. The Nintendo 64 had some great games. This console would be good for kids, not only because of the many G-rated games (but it still had a lot of games that would appeal to adults too), but also because it's so fun to put together! Connecting all the little add-ons can be fun - the power supply, controller, controller pak, rumble pak, expansion pak. The controller of this console was an excellent design as well, especially with the analogue control stick, as well as the fact that you didn't have to buy a whole new controller if you wanted to play rumble games (like you did with Playstation's Dual Shock controllers). The Nintendo 64 was first released in grey, but other colours soon followed. The console was quite a big success, but not as much as the Sony Playstation. In the end, Nintendo sold over 30 million Nintendo 64s worldwide.